Paper talk: Inter close to ManU defender, Chelsea and Arsenal stars in the radar, Roma want Hazard Jr.
An English mission for Inter’s sporting director Piero Ausilio. The Nerazzurri are already preparing for next season and the renewal of Milan Skriniar (READ HERE) is only the first step of their strategy to strengthen the team. According to previous reports, the Serie A giants are interested in signing Manchester City’s midfielder Ilkay Gundogan although the German is not the only Premier League player in Marotta’s shopping list. According to La Gazzetta dello Sport, Inter are monitoring the likes of Matteo Darmian and Emerson. 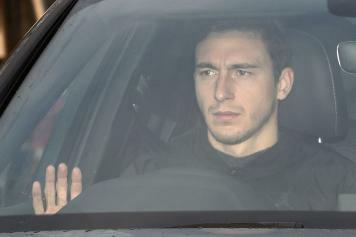 The contract of Darmian expires in 2020 as Manchester United activated a clause to extend his stay at the club for one more season in January. The Red Devils are open to selling the Italian whose price-tag is now in the region of € 12 million. According to La Gazzetta dello Sport and agreement between Inter and Manchester United is close. Emerson, on the other hand, doesn’t have a price-tag for now. He is happy in London but would not mind finding a club that can guarantee him more game time. Inter and Juve are watching him but for now no negotiations have begun. According to Il Corriere dello Sport, Inter have also joined the race to sign another Premier League star: Granit Xhaka. The Switzerland International is not on the market but the Nerazzurri have added him in their wish list for the summer. The likes of Ivan Rakitic and Toni Kroos remain the leading candidates of Marotta but Xhaka is also a target of the San Siro hierarchy. Meantime in Rome, the Giallorossi need to build a new team and part of the control room. Rome need a new sporting director, a new manager and many new players because the likes of Patrick Schick, Diego Perotti and Cengiz Under are expected to leave the capital. As per La Gazzetta dello Sport, Roma have resumed their interest in Thorgan Hazard who is contracted with Borussia Monchengladbach until 2020. Despite the imminent expiration of his contract, Hazard has a price-tag of € 40 million. Another target of Roma is Boca’s Benedetto who has only four goals in 19 appearances so far this season. The Argentinean striker could arrive in Rome for€ 15 million.